Hamilton’s new West Harbour GO Station officially opened for business Thursday morning, as commuters headed towards Toronto for the first time from the new station. Hamilton's new West Harbour GO Station officially opened for business Thursday morning, as commuters headed towards Toronto for the first time from the new station. There were more construction workers there than passengers, as workers scramble to finish the new station in time for the Pan Am Games starting this week. Though work is still ongoing, commuters Mark Turnbull and Amy Yang said they were very happy with what they saw. "It's gorgeous. I'm very impressed that this is in Hamilton," Turnbull said. "We live around the corner, and one of the main reasons we moved here was this train station." 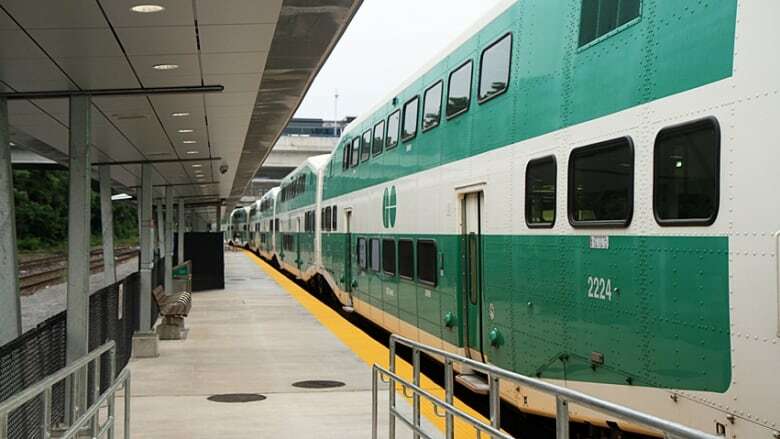 Metrolinx spokesperson Vanessa Barrasa estimated that about 20 people boarded each train Thursday morning. "Like any new service, it builds over time," she said. Plus, people are set in their routines and not everyone knows about the new station, she added. "But, as the community grows, so will ridership." July 9 marks the first day of trains leaving Hamilton for Union in the morning, at 6:16 a.m. and 6:46 a.m., and headed back at night, leaving Toronto at 4:47 and 5:23 p.m.
More trains will leave to get GTA commuters to Hamilton for Pan Am soccer games.